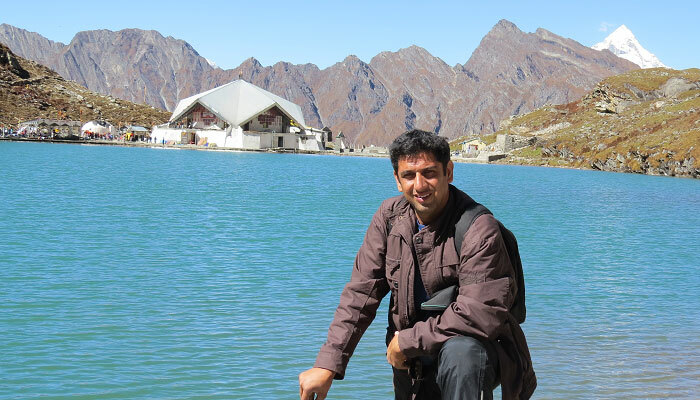 Devkant Sangwan is an ardent lover of nature and is a passionate traveler. He belongs to Haryana and is a law graduate by profession. He’s professionally well qualified and is an Associate member of the Institute of Company secretaries. Like many others, Devkant’s heart did not lie in his profession. He was born to follow his dream which is exploring the beauty of nature. 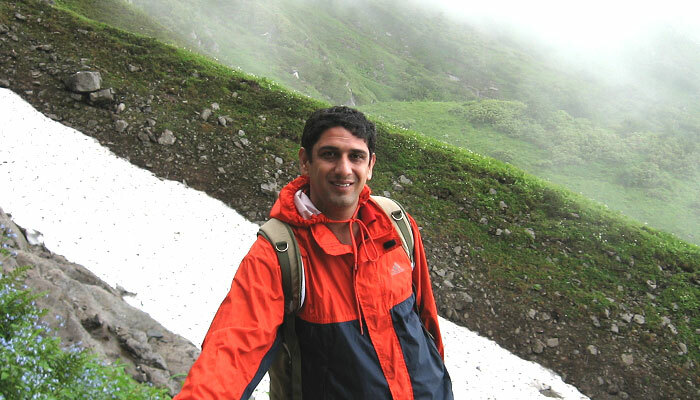 He visited Valley of Flowers for the first time in 2004 and instantly fell in love with the splendor of the place. He started pursuing the place more often and adored it over and over again. He even left his job for his travel pursuits and calls the place as his second wife. The year 2010 marked the beginning of translating his love into a profession. 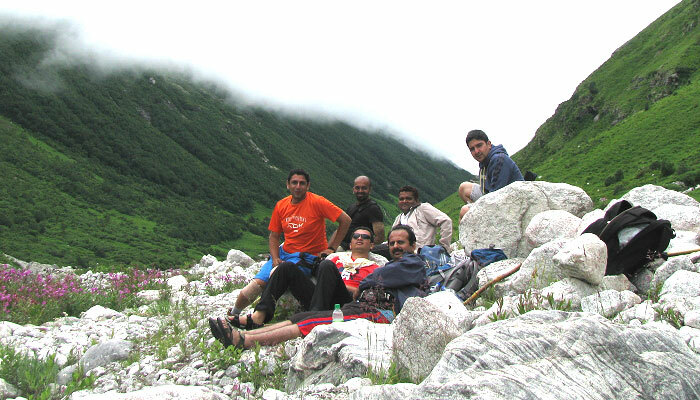 Devkant started organizing tours and completely stopped practicing as a company secretary. He finds happiness, solace and spirituality in the place. He breathes in the beauty of the Valley. Devkant married Seema Sangwan in 1999. Luckily, his wife too enjoys travelling and appreciates Devkant for his dreams. She too travels with him and enjoys the experience of Valley of Flowers. Devkant’s education and career needs made him travel all over the country. He did his basic schooling from Jawahar Navodaya Vidyalaya, Jhajjar in Haryana. He later studied in Amravati (Maharashtra). After graduating from Osmania University, Hyderabad Devkant went to Kota (Rajasthan) to study law. Later he became a member of the Institute of Company Secretaries in India. 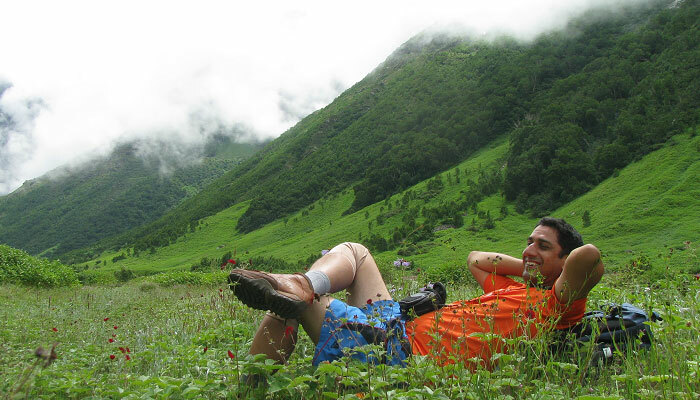 Why you should come with him to the Valley of Flowers. 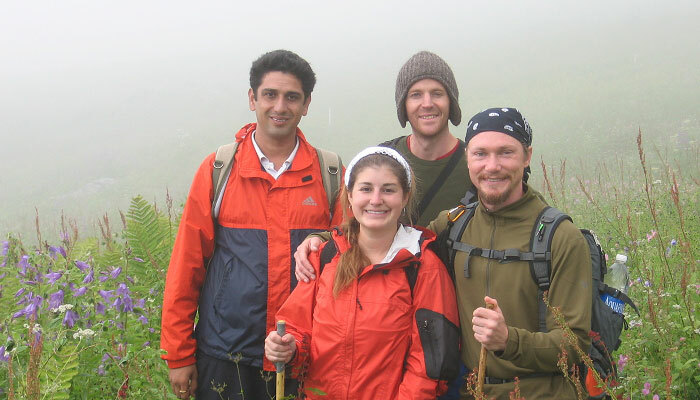 Friendly and fun by nature, Devkant is endowed with years of experience in travelling. He’s a specialist when it comes to Valley of Flowers. His numerous trips and experience has made him a reliable professional. He himself loves the place so much that he can’t stop admiring it. His passion lies in the dream that the whole world should discover the charm of this surreal spot. He arranges tours with utmost care and professionalism. A few guides may accompany in case the groups are big. One is sure to benefit by his experience and personal zeal for the location. You can discover the minutest details of the place and have a great time with Devkant. Going all alone or with some other tour operator, you’re sure to miss many beautiful things. You will perhaps be very happy with your tour but imagine the beauty if you had seen the entire Valley. Photo Gallery of his various visits to the valley. 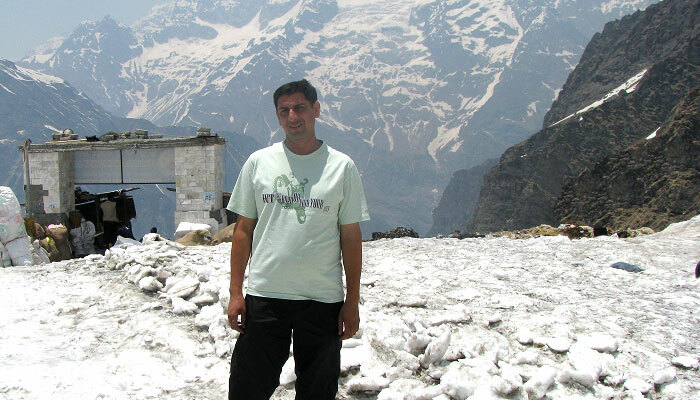 At Hemkund Sahib, in October 2013, He went to see the condition of the valley after the floods. 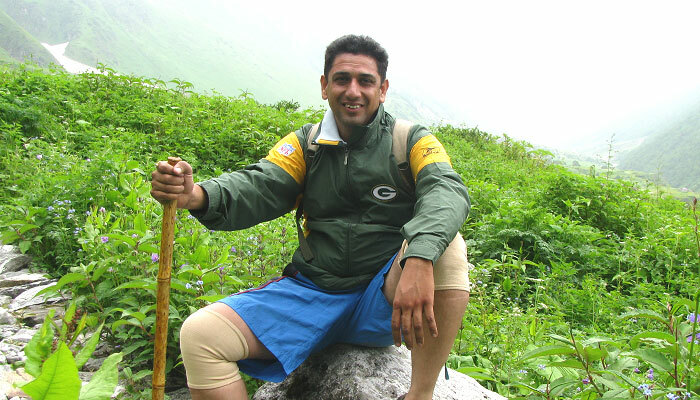 One the way back from Hemkund Sahib, In first week of July 2007. 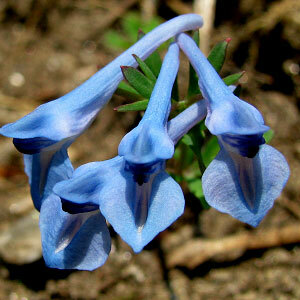 Corydalis Cashmeriana is a rhizomatous herb of 15-20 cm height. Basal leaves are 2-3 cm long. Stem leaves are 1-2, stalkless and almost opposite or alternate and placed at the middle of the stem. Flowers are 2 lipped and very attractive having blue color with dark blue at tips. The genetic name Corydalis means a lark which refers to the spur in the flowers of the genus. The specific name Cashmeriana refers to Kashmir.